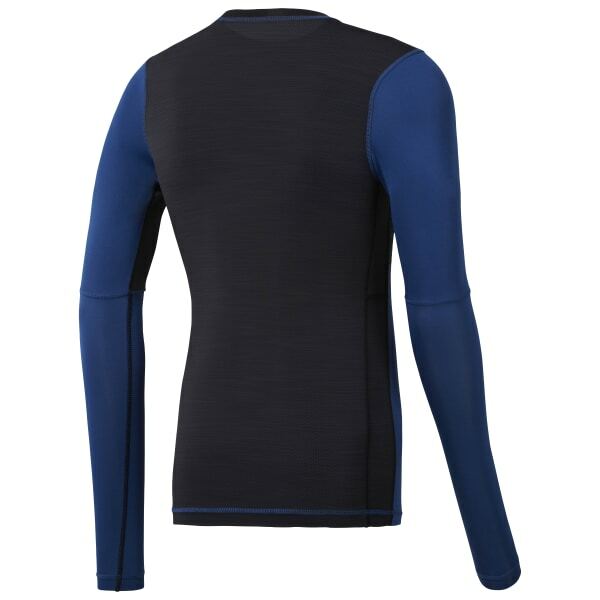 Give your muscles some support with this long sleeve men's shirt, designed with a compression fit that hugs close. When your heart rate rises, ACTIVCHILL fabric technology helps with breathability. Flat-lock seams help maintain chafe free comfort deep into your workout.